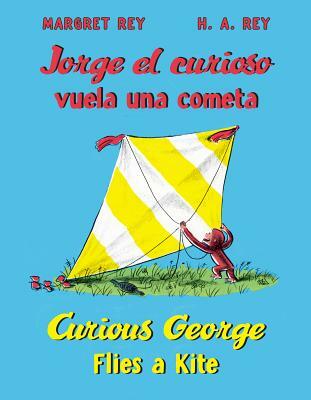 Curious George Flies a Kite is now available as a Spanish/English bilingual edition. When Curious George makes some cute bunny friends, one of the babies gets away! George uses a string to help get the bunny back to its mother, and discovers that strings can also be used for fishing and flying kites. But when Bill’s kite flies away---with George attached---it will take the man with the yellow hat to get George back on solid ground. This edition features both English and Spanish text set in two different colors for ease of readability.